Ivanka Trump on October 9, 2018 in Washington, DC. The government may be shut down, but someone in Trump’s administration is still hard at work. CBS News reports that “White House Senior Adviser” Ivanka Trump has been quietly securing trademarks from the Chinese government in recent months. Yes, the very same Chinese government that her father is in active trade negotiations with. Nevertheless, if no formal objections are raised, Ivanka’s new trademarks could be finalized within the next 90 days, effectively clearing the way for a relaunch of her empire—and her father’s—when the Trump presidency ends. 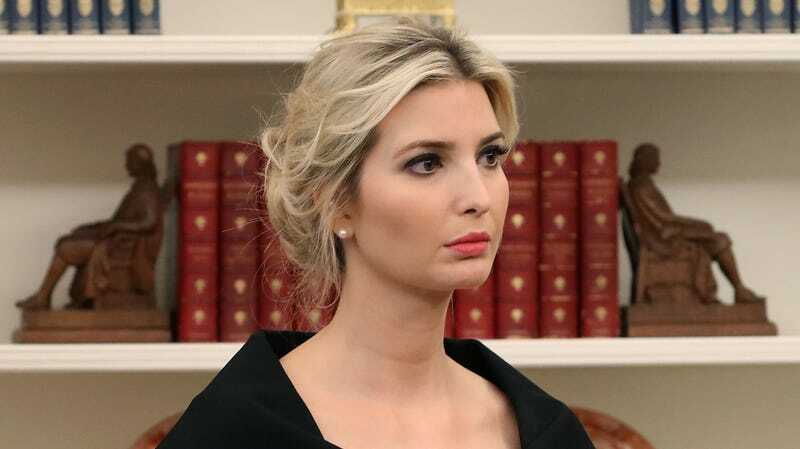 On the bright side, perhaps all this preparation means Ivanka’s not expecting her father to remain in office past 2020. But unfortunately, it could also just mean she’s protecting her name and brand for the long haul, which is what her representatives claim. Ivanka’s Chinese legal team did not respond to CBS’s request for comment on the new developments.